The theme park is a modern miracle of entertainment. Theme parks are more than just a day of rides that exit through the gift shop, it’s an experience. An Optiview Surveillance Solution guarantees that you can easily maintain, monitor, and manage the magic of your park. We have had the honor to secure the nation's leading theme park chain for over 15 years. Most of the theme parks we work with require complex systems in which a single recorder is not sufficient. Surveillance solutions from Optiview are available in Coax based and Network (IP) based systems and are modular in structure which is how a theme park can build a security infrastructure of nearly nine thousand cameras. Many parks have a limited annual budget for updating their security systems. One of the ways Optiview helps keep costs down is by utilizing existing infrastructure, such as RG59 coaxial cable from older Analog security systems. HD-over-Coax cameras and 5-Way HD recorders transmit HD video over RG59 and allow for more coverage with fewer cameras due to the high resolution available. In addition, higher megapixel HD cameras allow for digital zoom to be used while reviewing previous recordings. This means, with the proper setup, you can use fewer cameras, maintain the same coverage, and cut expenses from your estimated budget. 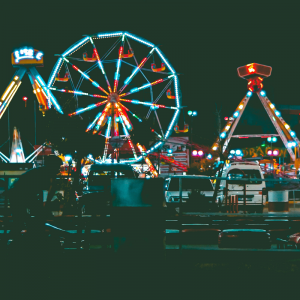 With the advent and ever increasing capabilities of video analytics, more theme parks are strategically adding embedded network video recorders and specialty IP cameras to cover certain areas or perform certain tasks within the park. For example, using cameras with a Heat Map analytic feature to review where the highest amount of foot traffic is taking place within the gift shop. Or, installing an LPR camera at the entrance and exit of the parking lots for reading license plates. Our VMS can manage any combination of analog, HD-over-Coax, and IP cameras, recording all of the feeds to any combination of DVR systems in their native video-resolution. Groups of up-to 64 cameras can be customized to display your pre-programmed camera groups over 4 HD monitors. The Optiview VMS also allows for Metadata searches to quickly track down footage without having to scroll through thousands of hours of camera feeds. 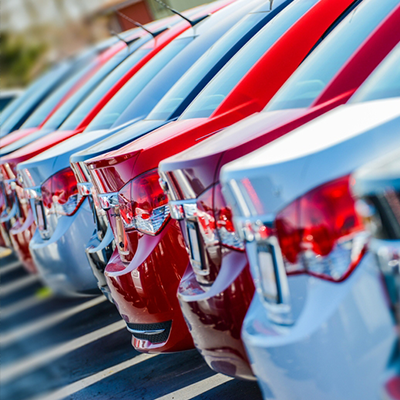 Search functions can search for vehicles, vehicles of a specific color, times, dates, and other items. This state-of-the-art tech makes it easier than ever to review footage and find what you’re looking for. Optiview offers multiple software platforms for remote viewing and analytics. All of the software platforms integrate easily and seamlessly both together and with the surveillance hardware offered by Optiview. View all of our Software solutions here. If you have ever operated a DVR and gone through video for an investigation, you know the DVR's and Recordings are only as good as the operators. This is why our technicians are available to train your security teams. We are ready to partner with you and your team to create a comprehensive security solution that fits the needs of your park and your budget. Fill out the form below or call us at (904) 805-1581 today for more information and to start building your custom solution. 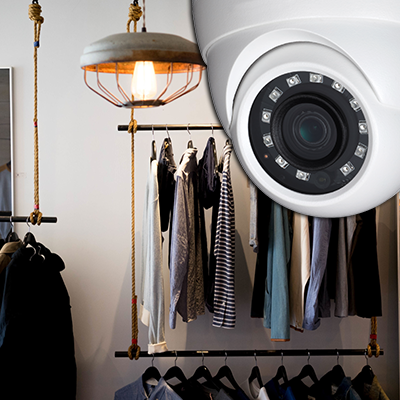 Merge high definition surveillance with deep learning intelligent analytics to capture events, discover customer behavior, and prevent theft. Provide additional security features in standard parking areas as well as overflow lots for events. Capture license plates, fender benders, grand theft, kidnappings and more with HD surveillance.